Caprese Black Bean Burgers made with black beans, plum tomatoes, fresh basil, garlic and Mozzarella cheese makes for a flavorful, meatless weeknight meal. 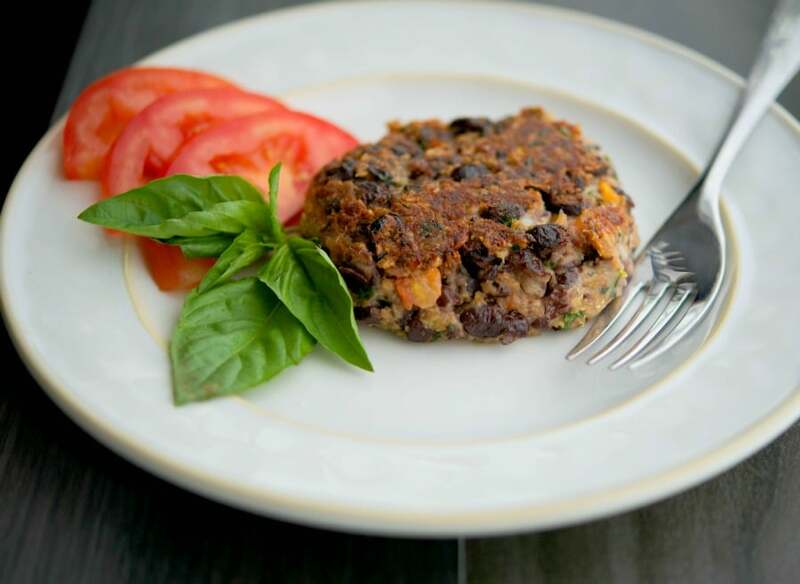 Burgers made with beans, like this Caprese Black Bean Burger, are not only healthier for you, but they are pretty darn tasty as well. Especially when you combine it with some of my favorite flavors including garlic, basil, and tomatoes. So recipes like this one are great for when you want to eat something light, yet filling and not lacking in flavor. What I also like about these Caprese Black Bean Burgers is that you can make it on top of the stove in under 20 minutes. Serve it on a bun or if you’re watching your carbs like I am, you can eat it on a bed of lettuce with some sliced tomatoes. 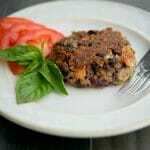 For this recipe you’ll need black beans (I used the canned variety and rinse them well under cold water before mixing them with my other ingredients, oats; which help to bind the burgers, chopped tomatoes, garlic, basil and some shredded Mozzarella cheese. 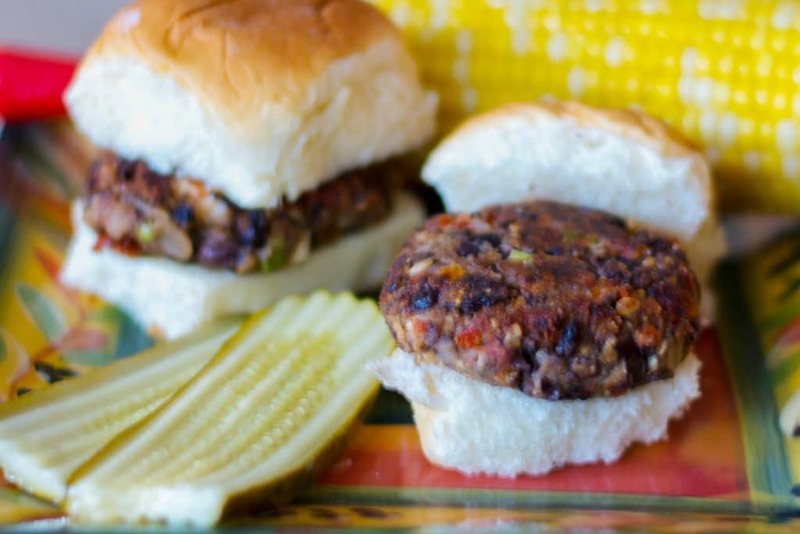 Combine all of the ingredients in a bowl, mashing some of the beans with the back of a fork and mix well; then form into four equal size burgers. 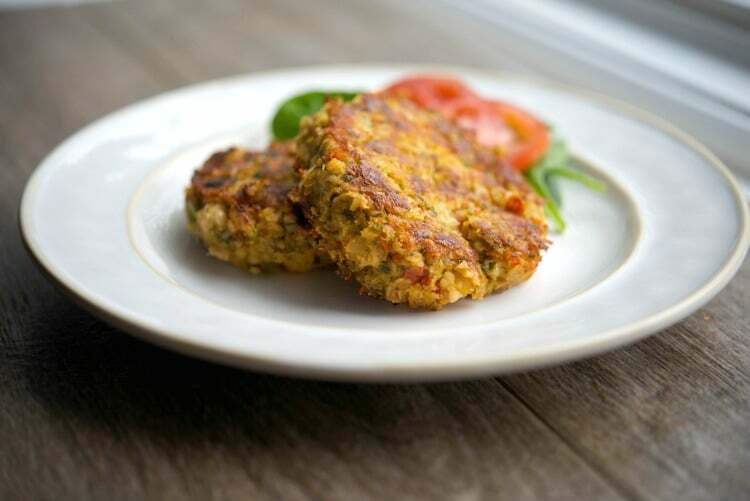 Heat a little EVOO in a large, nonstick saute pan over medium-high heat; then add the burgers to the pan. 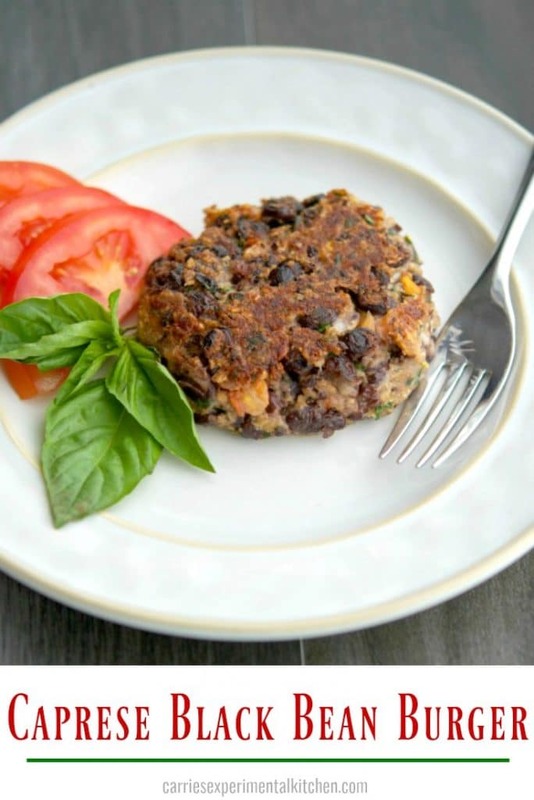 Cook the Caprese Black Bean Burgers 2-3 minutes per side until they are lightly browned; then remove from the pan and place the on a plate lined with paper towels to remove any excess oil. ~Enjoy! 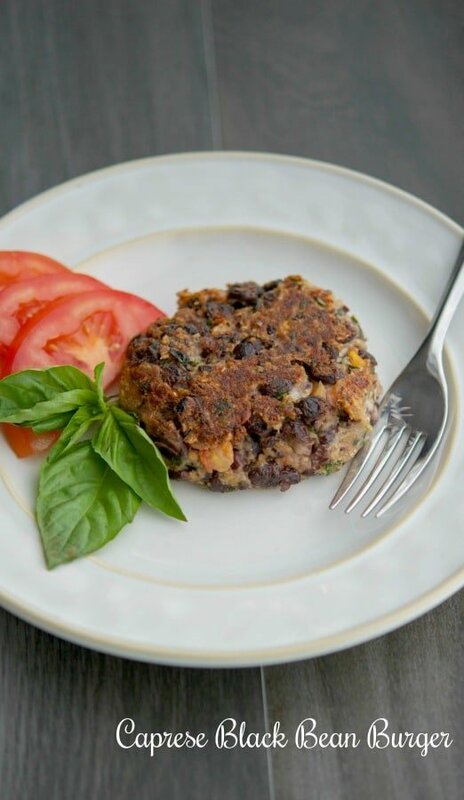 Caprese Black Bean Burgers made with black beans, plum tomatoes, fresh basil, garlic and Mozzarella cheese makes for a flavorful, meatless lunch or weeknight meal. Pulse the oats in a food processor or blender until fine. In a large bowl, combine the beans, oats, tomatoes, basil, garlic and cheese; mashing some of the beans with the back of a fork. Mix well and form into four equal size burgers. Heat the oil in a large saute pan over medium-high heat; then add the burgers to the pan. Cook 2-3 minutes per side until the burgers are lightly browned on each side; then remove from the oil and drain on a plate lined with paper towels to remove any excess oil.